Dense growing, medium sized shrub with arching branches. 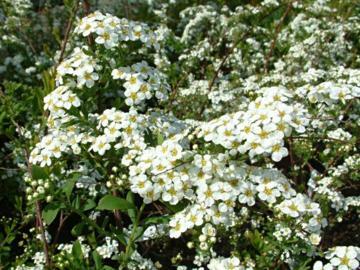 Small clusters of pure white flowers produced along the branches in April and May. Reliable and free flowering. Easy to grow in any reasonable soil, in sun or part shade.